I trimmed the claws of all three cats today, and even though Sam wasn’t too happy about it at the time, if you’ll look at Emma’s paw I think he was appreciative of it later. No matter how it looks, this was all in good fun and part of their normal horseplay. Sam is still smaller than Emma but at least it’s not as lopsided as it used to be — not that his small size ever stopped Sam from rough-housing as a kitten. 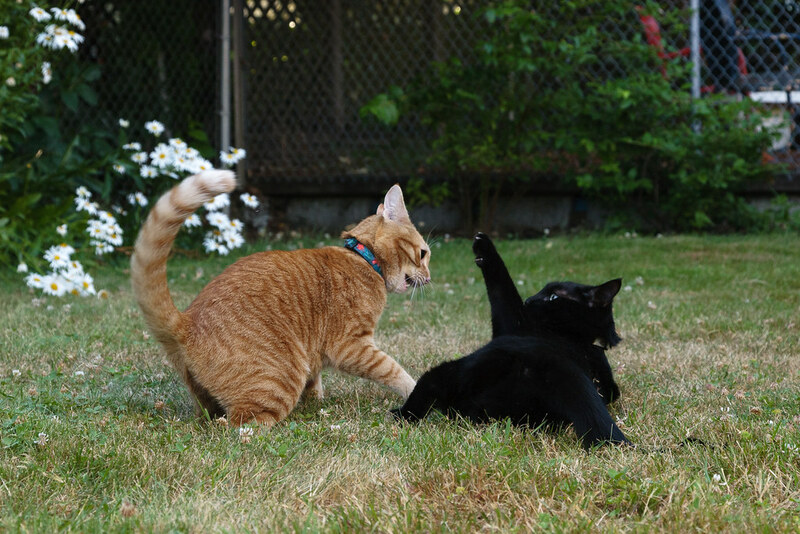 This entry was posted in Pets and tagged backyard, black cat, cat, Emma, orange tabby, playing, Sam. Bookmark the permalink.